Westchester County, led by County Executive Robert Astorino, celebrated Hispanic Heritage Month on Friday, September 22 at the popular Rancho Grande Mexican restaurant located on Central Avenue in Yonkers. He was be joined by the Westchester Hispanic Law Enforcement Association to also honor all of the Hispanic law enforcement officers and businesses in Westchester. Rancho Grande is a huge restaurant and it was overflowing with Hispanics of all ethnic backgrounds – especially Puerto Ricans. Aside from celebrating Hispanic Heritage Month, the over 300 people in attendance were also interested in being part of a live concert with Salsa legend Willie Colón. 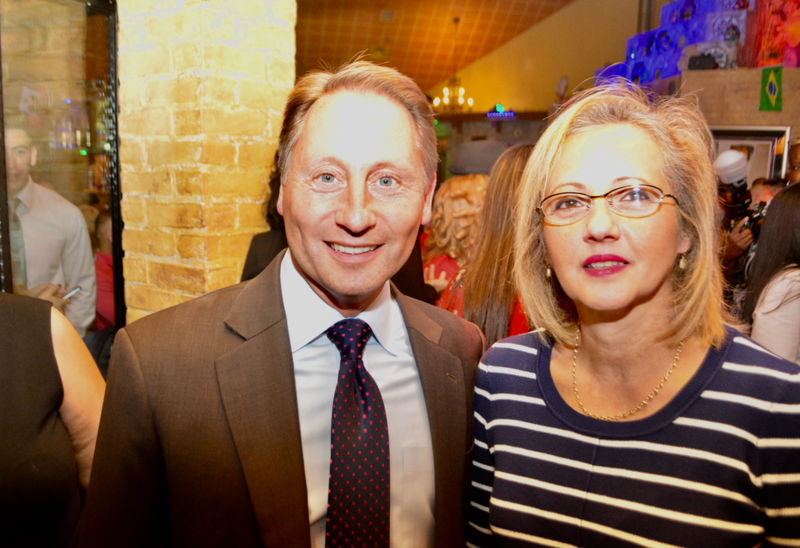 When introduced to the crowd, Astorino surprised the audience when he started speaking in fluid Spanish. His Spanish was truly flawless and he received a thunderous applause when he completed his speech. When Willie Colón approached the stage, the applause was deafening. Many in attendance grew up listening and dancing to his music in the 1970’s. Colón, Bronx-born of Puerto Rican grandparents, has fused his musical talent, his passion for humanity, and his community and political activism into an extraordinary, multifaceted career. His achievements in all his activities are widely recognized. As musician, composer, arranger, singer, and trombonist, as well as producer and director, Colón still holds the all time record for sales, he has created 40 productions that have sold more than thirty million records worldwide. His Asalto Navideño and his collaboration with Ruben Blades, "Siembra", is the biggest selling album of all time for this genre. Luisa Parisi, who is married to Joe Parisi, publisher of the Mount Vernon Inquirer, is a big fan of Willie Colón. While growing up in the Bronx in the 1970’s, she and her friends flocked to all the clubs where he frequently played. Luisa said hello to Colón and then embraced him warmly. 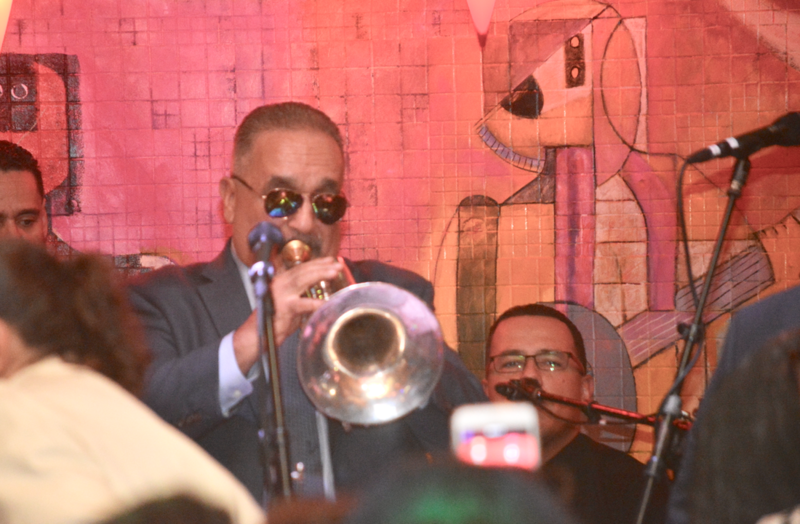 Colón entertained the huge crowd with his famous trombone for nearly two hours – while many danced to his music non-stop.